The ship sparkles in the distance as it pushed its way across the clear blue sea, making its way into the unique city of George Town. An array of secrets, treasures and discoveries to find in this magical place they call Grand Cayman. You can hear Blackbeard sound his horn as his ship gets near, the crowd cheers with excitement as they watch the luxurious ship come in. 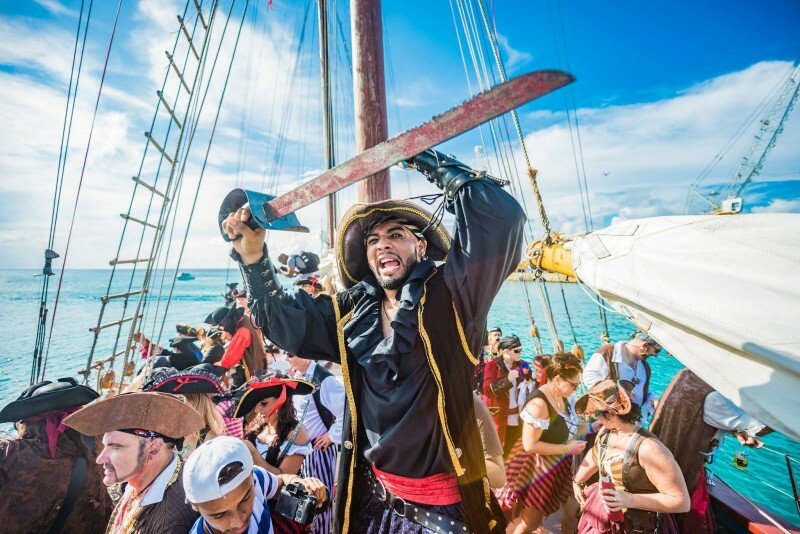 We invite you to the Cayman Islands electrifying 11-day festival, a celebration that brings in over 35,000 visitors across the world to enjoy the spectacle of what is Pirates Week. No other Caribbean nation celebrates Pirates Week quite like the Cayman Islands. The event starts at Cayman Brac on November 2nd and spans across Grand Cayman, finishing up in the last sister island - Little Cayman on November 18th. The festival dips into the cultural heritage of the land, erupting with a magnificent firework display, followed by the crowning of the annual Festival Queen. The spectators will then have a chance to partake in street dancing featuring local music and an ample selection of Caribbean cuisine. 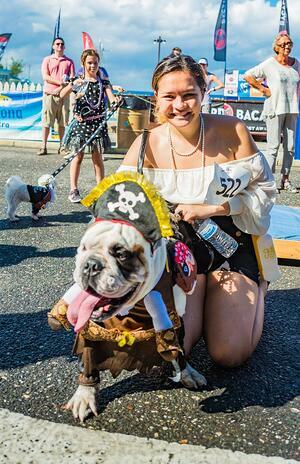 Save your energy as the festival continues the following day as thousands line the streets to catch a glimpse of the most sought-after show the “Pirate Invasion.” Watch as the vintage pirate ships make a surprise landing as they attempt to capture the Governor. A float parade follows soon after, filled with costumes and lots and lots of Caribbean rum. If this is your first exposure to the famous Pirates Week, we can guarantee it won’t be short of phenomenal. 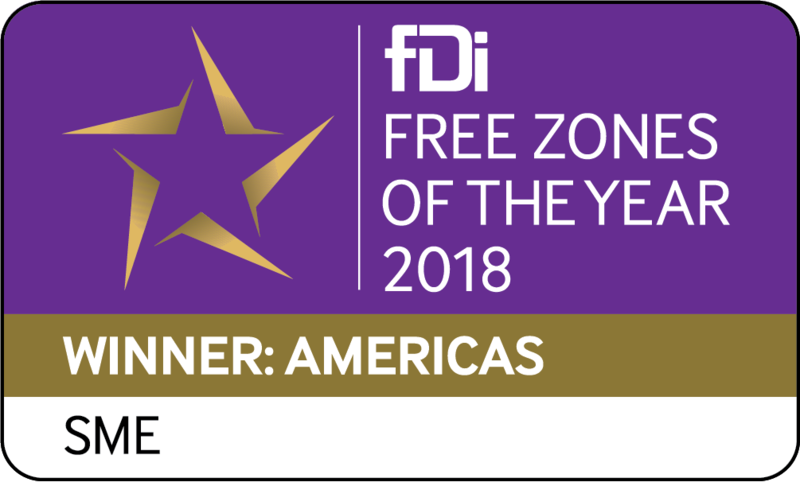 It’s one of the many things that makes the Cayman Islands the ultimate place to live. Already a battle-scarred veteran? We got you covered, below are the top hidden treasures only a local would share. Don't get Caught Without a Pirate or Wench Costume! The Big Island Boat Pirate Cruise has you covered, gather your best pirate mates and make a group booking. Experience what’s it like to party and drink like a pirate in your very own pirate ship! 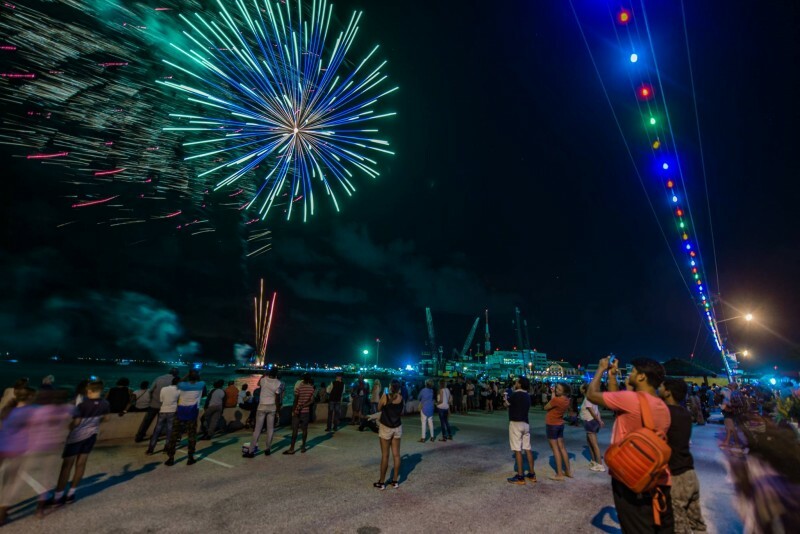 During Pirates Week, they host a special Friday night firework cruise in George Town. Where has all the rum gone? Probably at one of the many Pirate Week themed parties hosted around the island. Pop into local favorites such as Cayman Cabana and Royal Palms. Embrace both the mix of the local and mainstream music as you mingle with festival-goers and partake in the celebrations set to last until the early hours. The bustling Cayman Craft Market is a great place to visit during the hustle and bustle of Pirates Week. Developed by the Cayman Islands Government, the Cayman Craft Market provides an avenue for local artists to showcase their unique and indegineous products. Caymanian crafters who employ some of the oldest known skills in the Cayman Islands bring their wares to this little market by the sea. The one-of-a-kind shopping experience is a perfect escape from the festivities and excellent spot to purchase gifts. Don't forget Christmas is just around the corner! Not your typical beach with bars, but instead a secluded, quiet getaway one can sit back and relax. Book patio seating in advance and enjoy a jaw dropping firework display as you enjoy a conch fritter or two. Conch - This wonderful shellfish it a traditional Caymanian recipe that can be enjoyed in different ways such as Conch Fritters, ceviche or Stew. Season it with some salt and pepper and you have what we call a Caribbean treat! Jerk Chicken - A spicy marinated styled chicken that has earned its name as delicious finger licking food throughout the Cayman community. Bianca is CEC’s Public Engagement Officer who supports the delivery of CEC’s wider marketing plans and objectives by creatively engaging members of the public, by supporting the development of CEC’s community initiatives, and by actively helping to expand CEC’s outreach and workforce development initiative – Enterprise Cayman. A social media guru and creative global Marketer who has worked in London, Sydney and Vancouver, Bianca joins CEC with a host of innovative ideas and exiting ways to engage CEC’s Community and members of the public.